‘Tis the season! 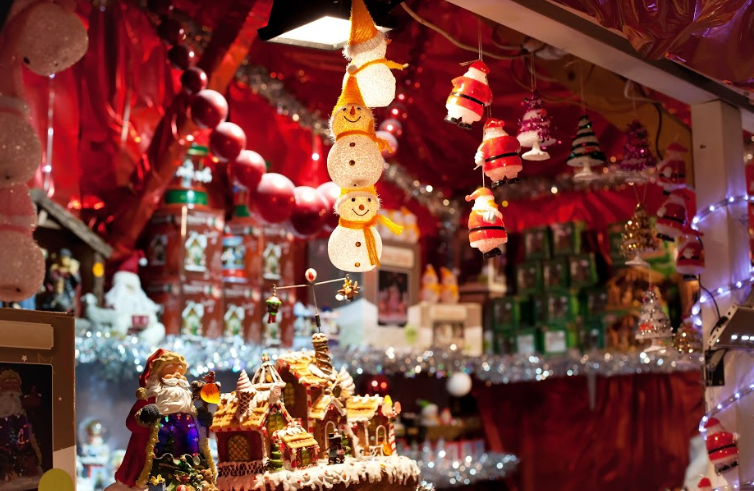 There are so many fun events and shops that pop up during the holiday season. Click on the highlighted areas or pictures for links to each website. Also check our events page! See the list below and check back for any updates! New York City’s Favorite Holiday Tradition is Back! 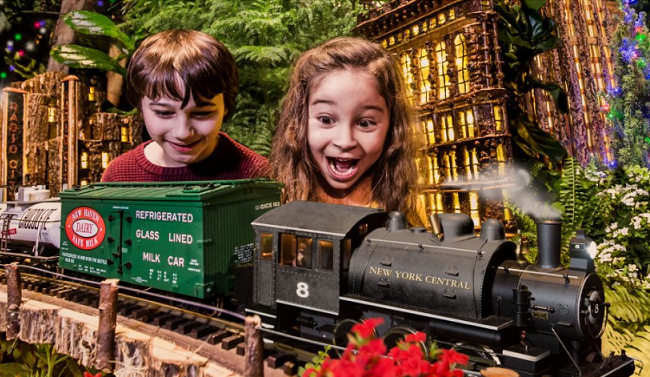 The New York Botanical Garden’s Annual Train Show has returned! Marvel at G-scale locomotives humming past familiar sights such as the Brooklyn Bridge and Rockefeller Center on nearly a half-mile of track. This year’s exhibition showcases Lower Manhattan—the birthplace of New York City—featuring the Statue of Liberty, Ellis Island, and iconic skyscrapers sharing the spotlight among old and new favorites. Making their debut this year are One World Trade Center and the historic Battery Maritime Building along with two vintage ferry boats. The train show is choo choo-ing along until January 21! Riverside Church Candlelight Carol Festival on Sunday December 16, is a long standing Candlelight Carol Festival that has become an essential part of Christmas in New York City. 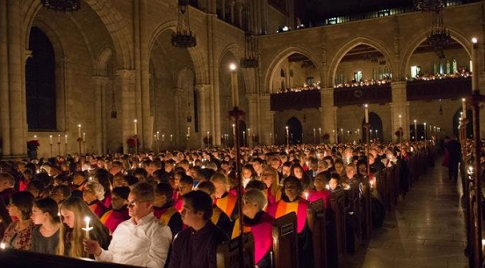 This service of music and light combines carillon, organ, harp, and all of the choirs of The Riverside Church and culminates in a ritual sharing of candlelight illuminating the Nave. Musical prelude begins at 3:00 pm. 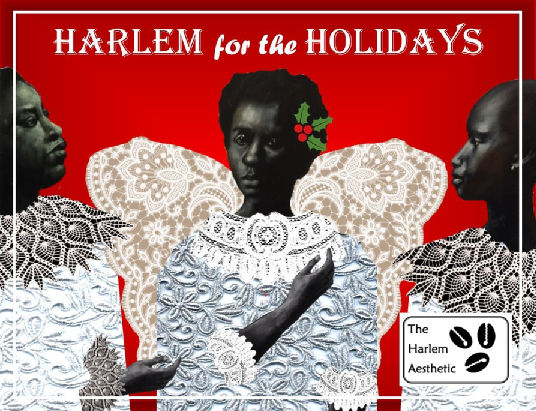 Please join The Harlem Aesthetic for their 2018 holiday showcase of collectible and gift-able artistry at the Gadson Gallery. Each weekend, customers have the chance to meet the artists, enjoy holiday cheer and check out the space and the creative wares. The holidays are HERE! Peace, Joy and Love to all! Shop tomorrow and next weekend! 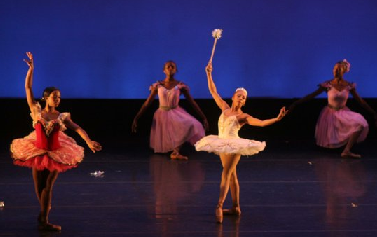 The Uptown Dance Academy Presents: The 23rd Annual Black Nutcracker – A modern African-American version of the Classical Ballet featuring a potpourri of dance styles from Classical Ballet to Hip-Hop, Cha-Cha Slide, and African Dance on Pointe. The music includes the Tchiakovsky score, Duke Ellington, the Commodores, and live African Drumming. On Thursday, December 20 they present two short shows during the day (only 1 hour!) and a full presentation in the evening – certain to delight all ages! 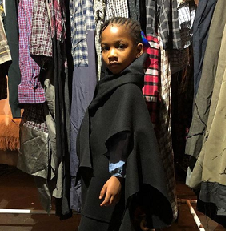 At the Sugar Hill Children’s Museum of Art & Storytelling on Thursday December 20, The Harlem Opera Theater will present Amahl and the Night Visitors by Gian Carlo Menotti, the Italian tale of three kings’ and their journey to deliver gifts to a divine child. 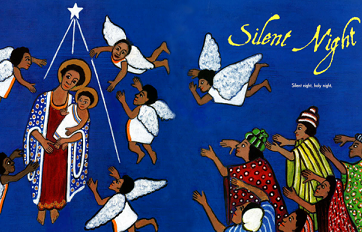 This performance will be heightened with a series of projected illustrations from Faith Ringgold in her 2004 Christmas book O Holy Night. The program will conclude with all guests having the opportunity to expand evening’s melody by joining the chorus for a grand sing along. The Harlem Popup Collective is a ONGOING curated creative space (and shopping experience!) with a goal to SUPPORT LOCAL CREATIVES while BUILDING COMMUNITY. Conveniently located in the heart of Harlem @ Silvana 300 W 116th St & Frederic Douglass Blvd, this Collective seeks to provide a platform for local creatives and vendors from New York; independent brands, artist and designers, to share their goods and link with the community. Visit the Collective every Sunday Until December 23! Join us for our annual Melrose Parranda: Our Puerto Rican Christmas caroling procession through the Melrose section of the Bronx! 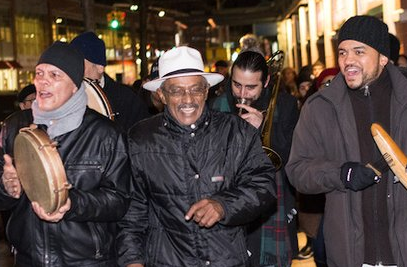 Based on the music of plena and other holiday songs from the island, this festive parade will be led by members of the Bronx music and cultural community. Each stop along the parranda will be a different casita, the little houses that evoke the houses of the countryside in Puerto Rico. We’ll end at Melrose’s most famous casita, Rincón Criollo, aka La Casita de Chema. Free and open to the public, Friday December 21. Opened as a retail market in the 1930’s, La Marqueta has been a staple in East Harlem for decades. 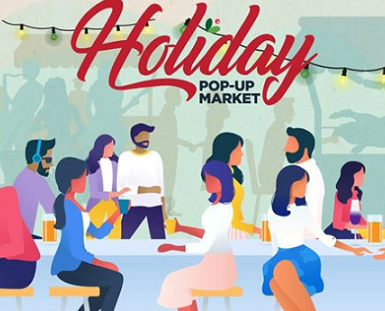 Come celebrate and shop at the Holiday pop-up market on Saturday December 22! Get a taste of East Harlem, Support local business, and Finish your Holiday shopping!!! 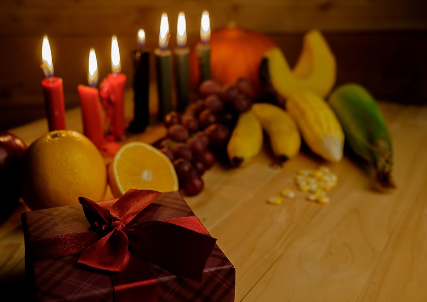 Join the Parkchester community at St. Helena’s Church to celebrate Kwanzaa and the practice of the seven principles (Nguzo Saba), to reaffirm human dignity within the Black family and community. Enjoy dinner, music and dancing while bringing the community closer together for a wonderful cultural experience! You may also bring gifts for donation to children. This event is free, with the option of providing a small donation. Ticket information and more HERE. Join the American Museum of Natural History for their Annual Kwanzaa Celebration! This celebration of African-American heritage that is rooted in seven principles known as Nguzo Saba, which promote unity, culture, and community development will feature a local artisan marketplace as well as live performances from Oyu Oro – music and dance from Afro-Cuban traditions and Black Comics Collective will host a live-drawing performance inspired by the seven principles. 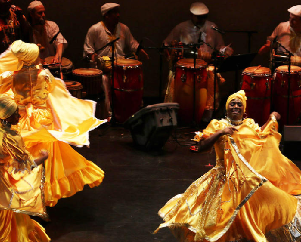 The Apollo Theater Presents: Kwanzaa Celebration – Regeneration Night! 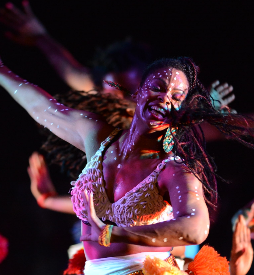 On Saturday December 29th, there will be two shows as the Apollo celebrates Kwanzaa with the renowned New York-based dance company Abdel Salaam’s Forces of Nature Dance Theatre and guest performances. This celebration is a joyful evening of dance and music honoring the principles of Kwanzaa – family, community, and culture. Tickets start at $25. Homeschooling mom to a 10 year old unicorn. Passionate about Education, Community Involvement, and Good Coffee. Co-creator of Uptown Birdies. 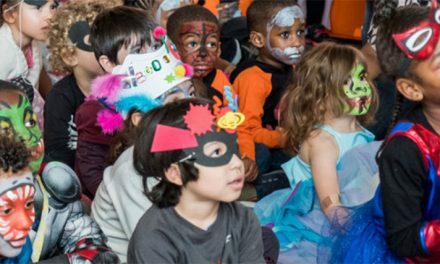 Sugarhill Children’s Museum Boo-tastic Halloween!